Find Better Ideas, Faster ® with a custom cosmetic marketing trend report, our PRO Dashboard and 80+ categories of premium trend reports. 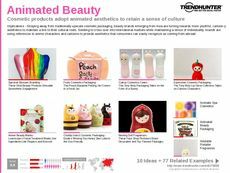 Trend Hunter's Cosmetic Marketing Trend Report explores the beauty industry while thoroughly investigating the most powerful marketing strategies and tactics in this realm. This report is designed to bring forward the best campaigns and marketing plans that resonate with consumers. We will look at a variety of marketing outlets from TV ads and magazine spreads to social media campaigns and in-store sample promotions. This extensive report will examine various products and different demographics throughout. 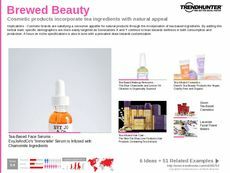 This report is an academic resource for beauty industry experts that will discover new marketing initiatives for upcoming product campaigns. Its findings will also help magazine editors, website creators and social media influencers create content that is both engaging and profitable. 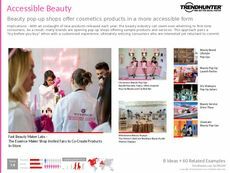 The Cosmetic Marketing Trend Report is a beneficial resource for those preparing to launch a new beauty campaign while satisfying the needs of modern audiences.